Electric Heating: A Furnace or a Heat Pump? The natural gas furnace is one of the most common types of home heating system. But they’re not as common here in Tampa because we don’t need as much heating power. You’ll find gas furnace hard at work in places with chilly winters because the furnaces can produce high levels of heat—and that’s not something we often need. Many homes here also run entirely from electricity and don’t have a natural gas connection for a gas furnace. What are the main options for central electric heating in Palm Harbor, FL? There are two main types of units for a consumer to consider: the electric furnace or the heat pump. Let’s look into the benefits and drawbacks of both. Posted in Heating | Comments Off on Electric Heating: A Furnace or a Heat Pump? Why Won’t Your Heater Turn On? In Tampa, we don’t get a lot of use out of our heaters. For most of the year, the “heat” setting on the thermostat remains untouched, and our heating systems get a long rest. So when we do find ourselves in need of heating, it’s a big surprise if the unit won’t seem to kick on. What’s wrong with your heating system? It could be a case of human error. Or, depending on the type of heater you have, you might have components that need replacement. Of course, an older heater might be in need of replacement—but a qualified company will always check for a possibility of repairs first and foremost. For more information about what may be going on, read further and then call our friendly team. Posted in Heating | Comments Off on Why Won’t Your Heater Turn On? The perfect AC system is a coveted item in a warm place like Tampa. You need a system that can handle the heat and the humidity. You want to make sure it’s a good fit for your home as well. And preferably it would work well with a heating system, even if you don’t use it often. Why not get everything you need from a single system? 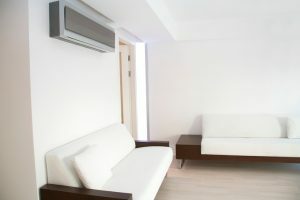 A heat pump allows for heating and cooling all in one, using refrigerant for both heat removal (the cooling process) and moving heat into a home. It can absorb heat from the outdoors even when temperatures approach freezing, and it’s perfect for our climate. It may be the only comfort system you need. © 2017–2019 The A/C Guy of Tampa Bay Inc.. All rights reserved.